The country’s quickest female bartenders will show off their skills tomorrow in New York City in the third annual Speed Rack competition. To qualify, the eight finalists triumphed over nearly 200 other mixologists in competitions around the US. The ladies make cocktails pulled from a list of 50 classics—they don’t know ahead of time what they’ll be mixing. Then their entries are rated on both time and accuracy by a panel of esteemed judges, including Food & Wine’s own Kate Krader. Not only does the contest highlight some of the country’s best up-and-coming female bartenders, but it’s also for a good cause. 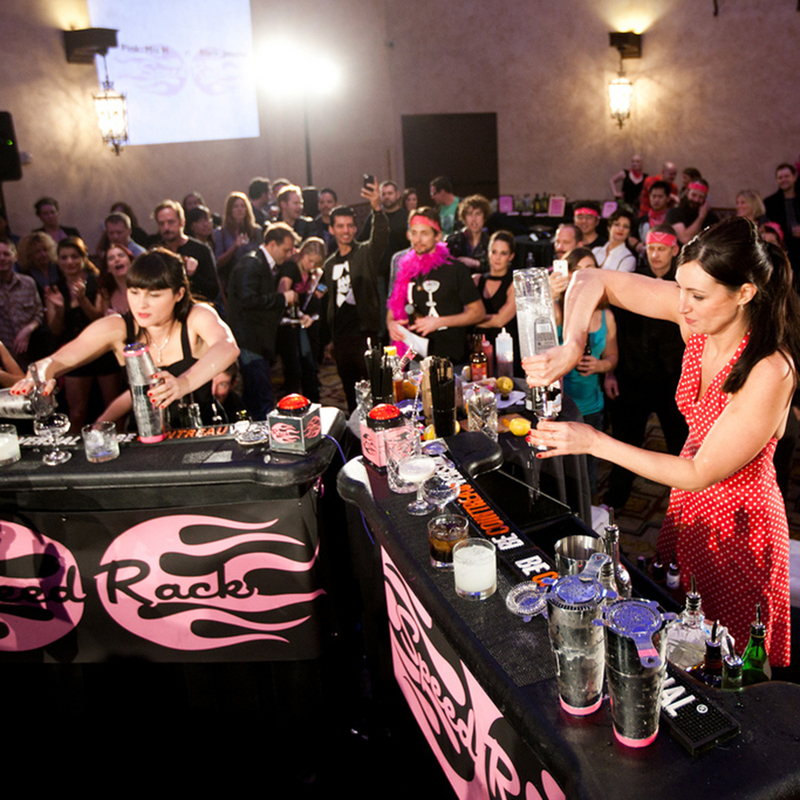 To date, Speed Rack has raised almost $200,000 for breast cancer awareness and research. Since the contest is all about speed, we asked the finalists to recommend their favorite 15-second cocktails. Stir on a large rock, garnish with a lemon twist. Fast cocktail: The Bourbon Smash. In a shaker, muddle the lemon. Add the remaining ingredients and fill with ice. Shake, and double-strain into a rocks glass filled with crushed ice. Garnish with a mint leaf through a wedge of lemon. “They’re super fast, everyone loves them and you already have all the ingredients nearby (whiskey, sweet vermouth, orange peel, bitters). "That tart, spicy, bubbly deliciousness pairs with almost any spirit. I like to use mezcal, a little green chartreuse, top with ginger beer. It's such a crowd pleaser." "It's a gin based drink with st Germaine, lemon, grapefruit bitters, absinthe, and soda water. Served in a Collins with no ice." The Speed Rack finals take place at Stage 48 in New York beginning at 5 p.m. Tickets are $30, and are available on the website.